The College of Criminal Justice at Sam Houston State University will recognize service and leadership, superior scholarship, and will honor those who have fallen in the line of duty at three events on Thursday, April 22. A recognition luncheon will begin the day’s activities at 11 a.m. in the Flag Room of the Criminal Justice Center. During the event, leaders of various criminal justice student organizations will be recognized for their exceptional accomplishments and achievements during the 2009-2010 academic year. Also, the college will honor and publicly recognize the recipients of the Defensor Pacem Medal, the 2010 Outstanding Alumnus Award, and the first recipient of the Outstanding Dissertation Award. Each year, the college presents the Defensor Pacem Medal to an individual or organization that has provided invaluable assistance to the criminal justice field. This year’s recipient is Dan R. Beto, of Bryan. Beto is the retired founding director of the Correctional Management Institute of Texas (CMIT) at Sam Houston State University. While he began his career in institutional corrections, most of Beto’s career was devoted to community corrections. His career spanned more than 40 years in community corrections as a juvenile probation officer in Texas; United States probation and parole officer; chief probation officer; and director of the Judicial District Community Supervision and Corrections Department for Walker, Grimes, and Madison counties. He currently serves as editor of “Executive Exchange,” National Association of Probation Executives; president of Beto Strategic Partners; and a senior fellow of the Canadian Training Institute. A loyal alumnus, Beto earned a bachelor’s degree in sociology and master’s degree in criminology and corrections at SHSU. 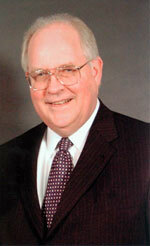 He and his wife, Donna, have established several scholarships to offer financial assistance to students in need. The recipient of the 2010 Outstanding Alumnus Award is Robert Lampert, a Marine Corps veteran with more than 35 years of correctional experience, including military and state service. During his tenure with the Texas Department of Corrections, Lampert rose through the ranks from correctional officer to senior warden. Upon his retirement from TDCJ, he was selected by the Oregon Department of Corrections to serve as superintendent of the largest correctional facility in the northwest and as assistant superintendent at Oregon’s only maximum-security institution. He later served as director of the Wyoming Department of Corrections. During the luncheon the faculty will also recognize Bitna Kim, the first recipient of the college’s Outstanding Dissertation Award. This award recognizes a student completing a doctoral degree in the College of Criminal Justice whose dissertation reflects superior scholarship. Kim’s dissertation committee was comprised of faculty members Jurg Gerber, Mike Vaughn, Craig Henderson and Brian Lawton. Following the Leadership Luncheon, the traditional Sundial Ceremony will take place at the south entrance to the Criminal Justice Center at 1:30 p.m. The ceremony will commemorate criminal justice alumni and other law enforcement officers who have lost their lives in the line of duty. The ceremony is open to the public. In the evening, the College of Criminal Justice will recognize its most academically gifted students at the Honors Convocation at 7 p.m. in the Killinger Auditorium. More than 80 scholarships will be presented and 121 honor students will be recognized. Ed Reyna will be the guest speaker at the Honors Convocation. Reyna was honored in 2009 as one of Sam Houston State University’s Distinguished Alumni. He holds a master’s degree from Southern Methodist University and attended the Harvard University JFK School of Government. The public is invited to attend.